Here in Wind River Country, chances are you know one: your neighbor, best friend, co-worker, or even you and your partner are considered an “adventure athlete.” Whether you weekend-warrior up to Wind River’s Stough Creek for a 21-mile fishing excursion, wake up at 5am to run the Tomato Loop, bushwhack with topo maps through the Red Desert to find petroglyphs, ride at-skis/fat bikes/stout horses through the backcountry—there’s a familiar, prevalent breed of (and unspoken camaraderie among) outdoor-forward humans throughout Fremont County. No surprise that Fremont County has its own adventure race team, for its second year, competing in Wyoming’s 2015 Cowboy Tough Adventure Race. Sponsored by the Wind River Visitors Council, Team Wind River Country is a coed team of four, all residents of Lander. Returning for a second round, Wind River Country teammate Shad Hamilton is principal at Fort Washakie, a husband, and father of two. Having met in 2006 at the cycling club, Shad has joined Schuster-Wagner on several Leadville races and adventures through the backcountry. Hamilton paddled a canoe singlehandedly across Boysen Reservoir for one leg of last year’s Cowboy Tough to keep the team rolling through an injury and brief and unofficial checkpoint in the Emergency Room. Shad’s wife jokingly refers to Chuck as “that friend” (who drags him out for days and hours of insanity.) We’re not sure if that’s better than a weekly game of poker with the guys or not. Brad Young is a husband, father, Army veteran, and the newest member of Team Wind River Country. A behavioral therapist at the Wyoming Life Resource Center, Brad was inspired by Chuck’s endeavors over office water cooler conversations, and effectively turned curiosity into action. After surviving his “first date” with the team at the Teton Ogre Adventure Race in June 2014, Brad has been training and on board for Cowboy Tough ever since. 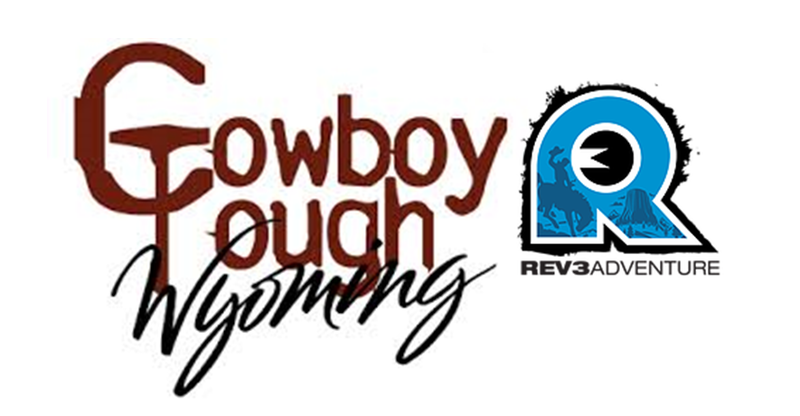 The 2015 Cowboy Tough race-course this year is set for a start in Buffalo, a gentle meander through the Big Horns (ha) and finish line in Casper. 360-430 miles of trekking, paddling, orienteering, fire road biking, single track biking, mountain and road biking, and plenty of checkpoint challenges over the course of four days. Teams are completely independent and self-sufficient for food and water, and are allowed one tote box on an eighteen-wheeler for transition stations. What does that mean? Racing “re-starts” each morning at 7am and even if you rolled into the transition station at 2am, you have to get your food, sleep, and gear ready to start all over again. 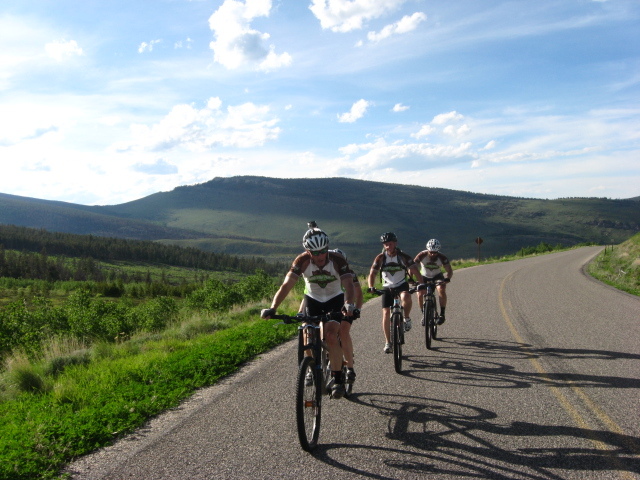 This entry was posted in Most Recent, On the Calendar, WY People, Wyoming Family, Wyoming outdoors, Wyoming Travel and Tourism and tagged Buffalo Wyoming, Cowboy Tough Adventure Race 2015, Lander Wyoming, Wind River Country, www.wyolifestyle.com, Wyoming bike races, Wyoming cycling, Wyoming Lifestyle Magazine, Wyoming races, Wyoming tourism. Bookmark the permalink.